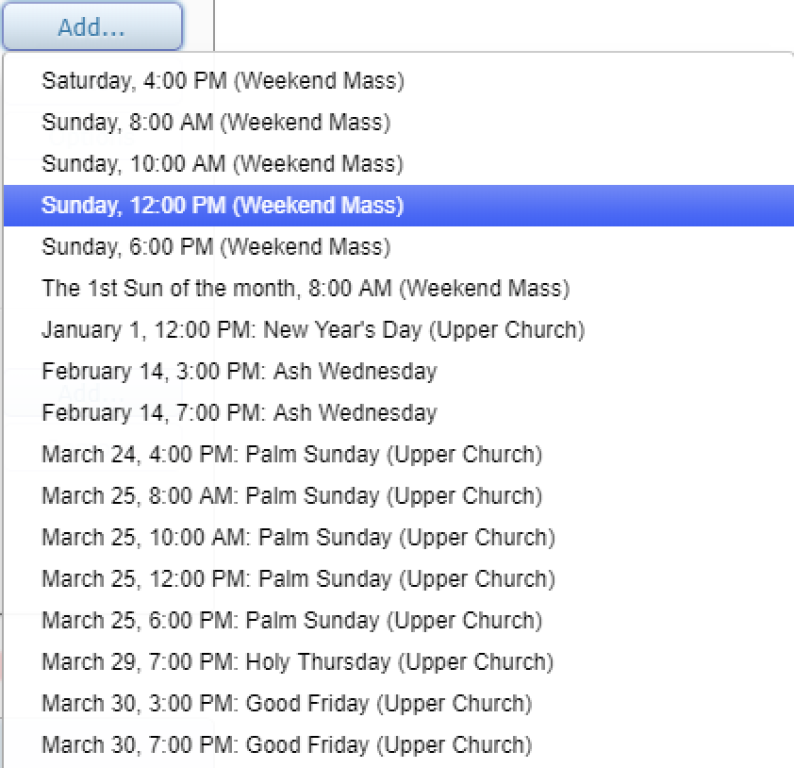 From time to time, you may want to update which Masses you are willing to serve. We have a some ministers sending their requests via email, but they may not get seen and processed in time. Here is the procedure for updating your service preferences. First, log onto the Web Terminal and go to the My Profile tab. 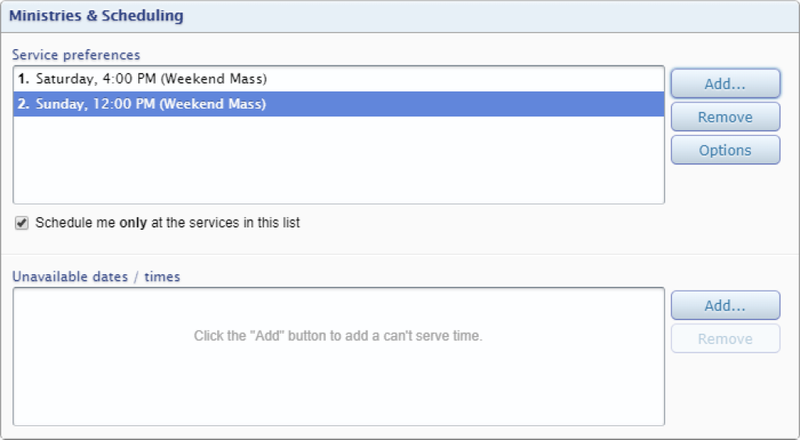 Scroll through the list and click on the Mass you want to add to your preferences. You can repeat this as often as you want. 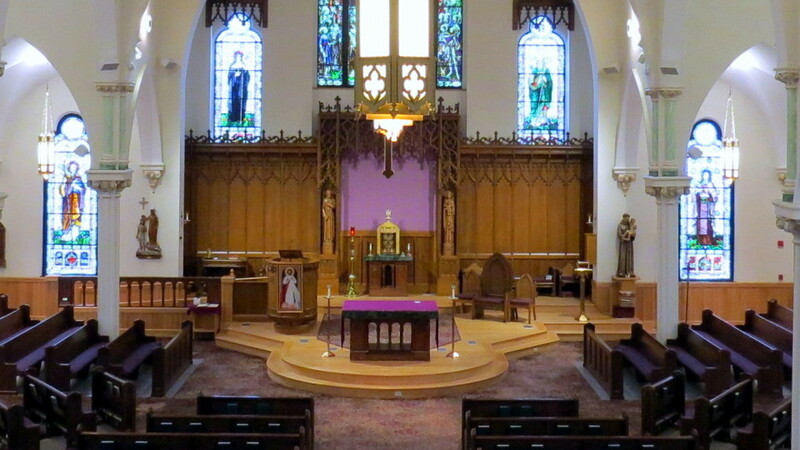 You should now see the service added to your list. You can click and drag the services to change their order, if you wish. You can also remove unwanted services by clicking on them and then clicking the Remove button. After you've made all of your changes, click on the Submit button at the bottom of the page. If you forget this step, your changes will not be submitted to the system. To add a service preference via the MSP App, go to the My Profile tab and click on Service Preferences, then click on the Add Preference button. Scroll through the list of preferences and click on the one you want. It should now appear in your list. NOTE: Currently removing preferences via the MSP App is not working. Use the Web Terminal and the instructions above. 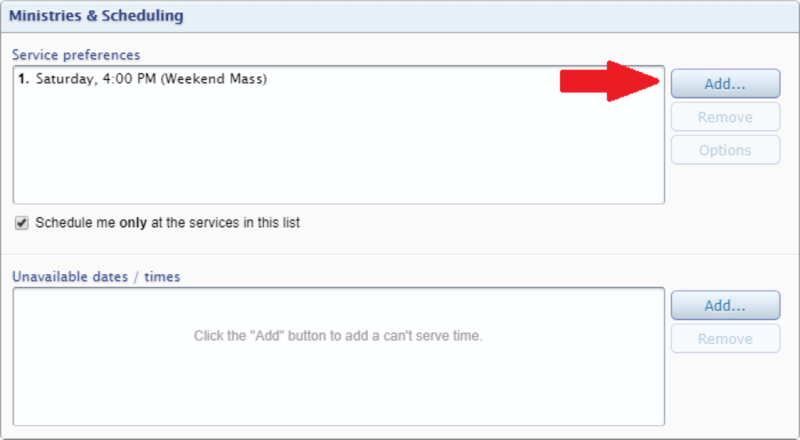 To remove a service preference via the MSP App, go to the My Profile tab and click on Service Preferences, then click on the service you want to remove. On the screen that comes up, click on the Delete Preference button. You should see the preference removed from the list.